This screen protector is made of high quality tempered real glass + soft carbon fiber materials. 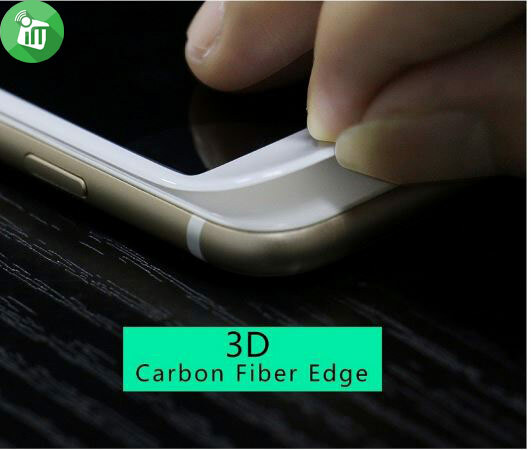 Its thickness is only 0.3mm, with precise CNC cutting technology. 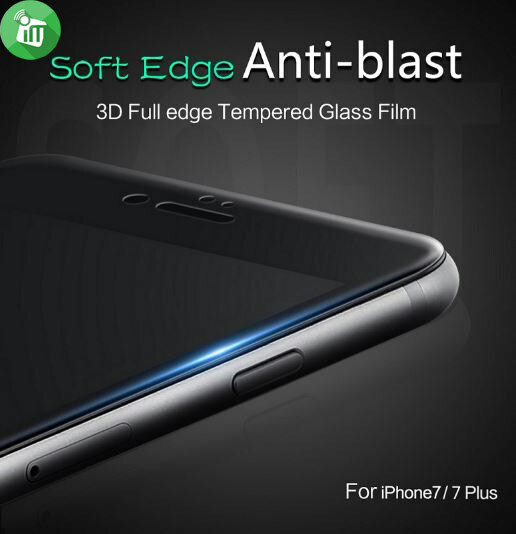 The tempered glass features 9H strong hardness for ultimate scratch protection. 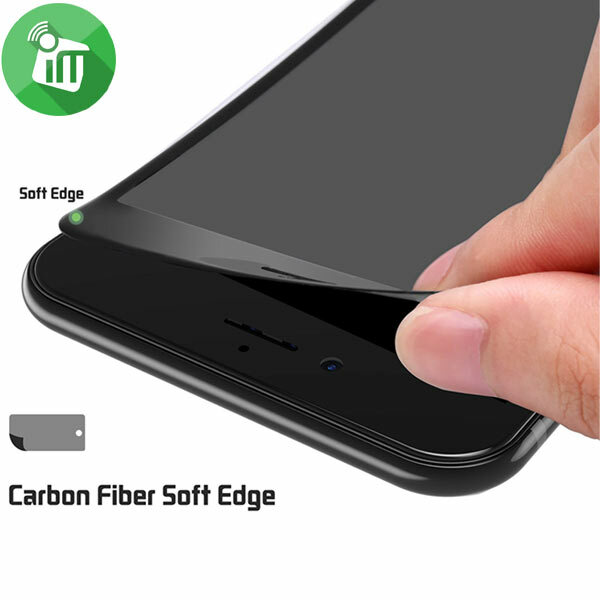 Premium soft carbon fiber panel with high strength effectively resists impact and drops. 3D curved edge design, fully covers your phone for maximum protection. Three times stronger than regular PET film, this screen protector will even protect your devices screen against sharp objects such as knives and keys. 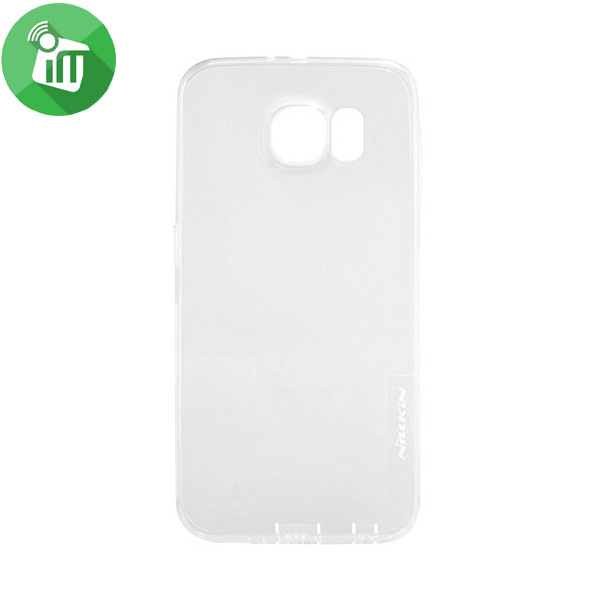 Oleophobic coating defends against fingerprints and other contaminants and makes the film easy to clean. 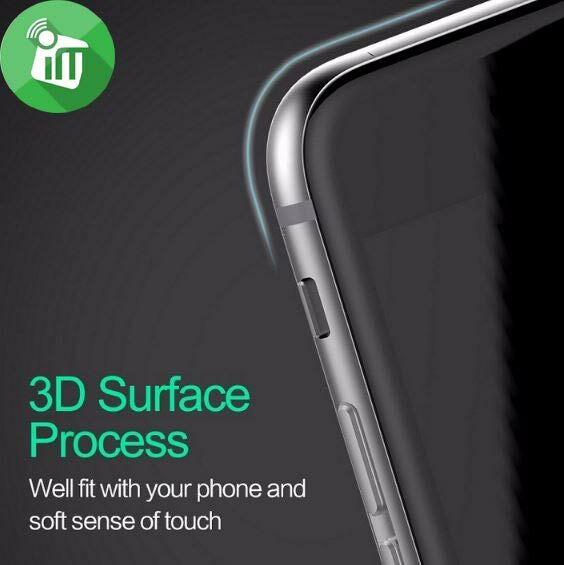 Oleophobic coating film retains maximum touch responsiveness. 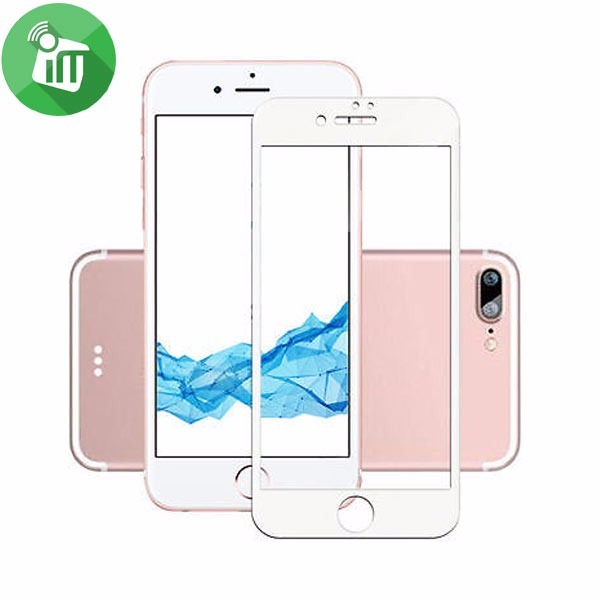 This screen protector cracks into small pieces that are held within the film (if broken). 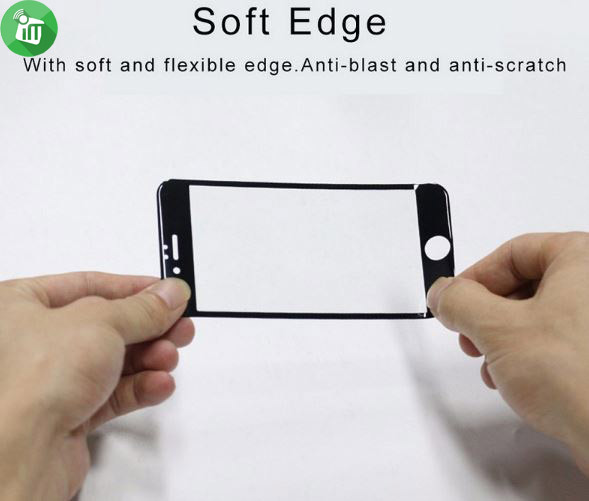 They are not sharp, making it safer than other glass products. 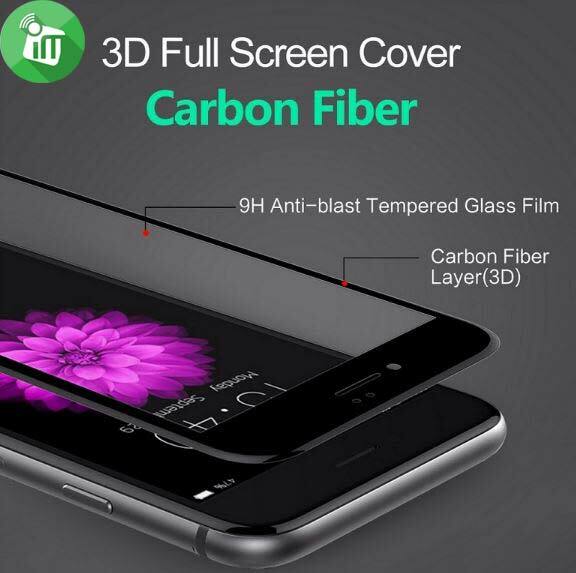 99% Transparency,20 times higher than normal screen protector, Keeping Natural Colors, Natural Screen Resolution. 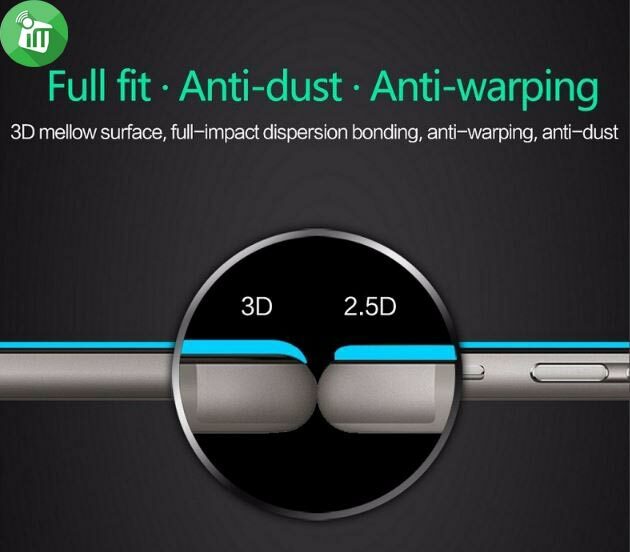 Perfectly fit Hole Site, Handset, Photosensitive,without any hindering when you operated.